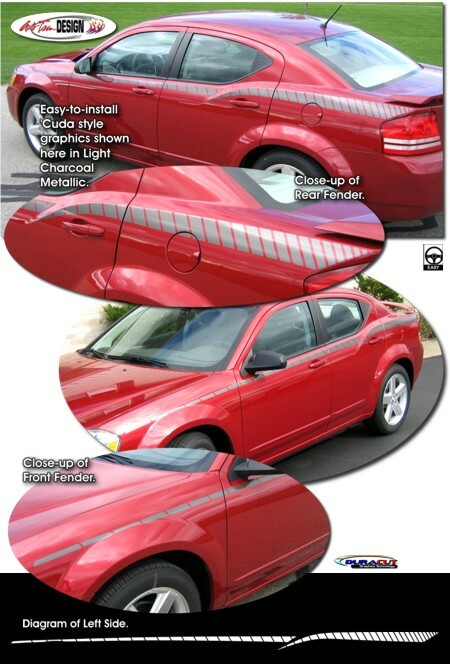 Set your '08-'14 Dodge Avenger apart from the rest with this classic AAR 'Cuda style body side graphic set. Available in a wide variety of colors, graphic measures 156.988" (398.75cm) in length and is packaged with one (1) left and one (1) right side graphic. Looks Terrific!